Movie Collector is a program for organizing your personal collection of DVDs, VHS tapes, Laserdiscs, etc... You can use it to create a file with detailed information about your movie collection. This file can be browsed, sorted and searched in various ways (e.g. find all movies Arnie plays in, sort your movies by Genre, etc...). 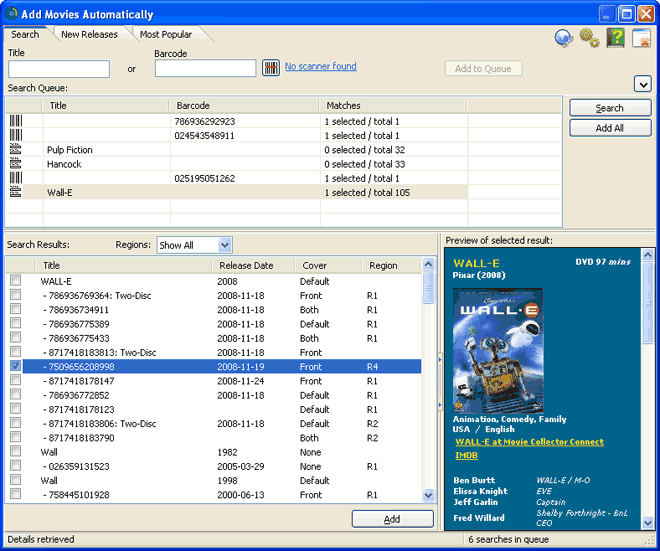 Movie lists can be printed and exported to HTML or CSV files.